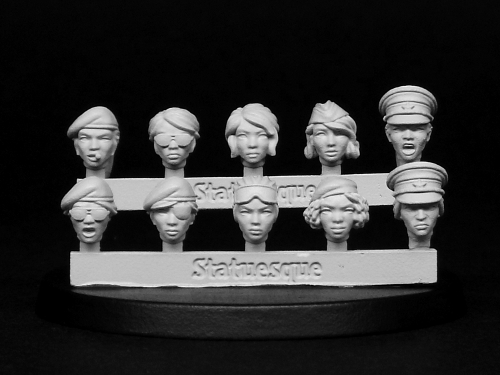 Statuesque Miniatures is pleased to announce the release of two new Fine Scale and Pulp Scale female head sets. 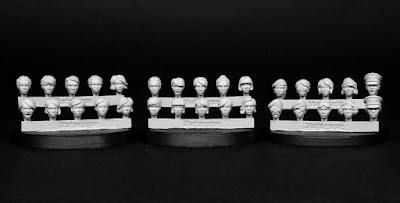 The Fine Scale Female Heads - Veterans set is designed to match the size of the Statuesque Sci-fi range and is on sale at a New Release Special Offer price of only £4, saving over 10%. 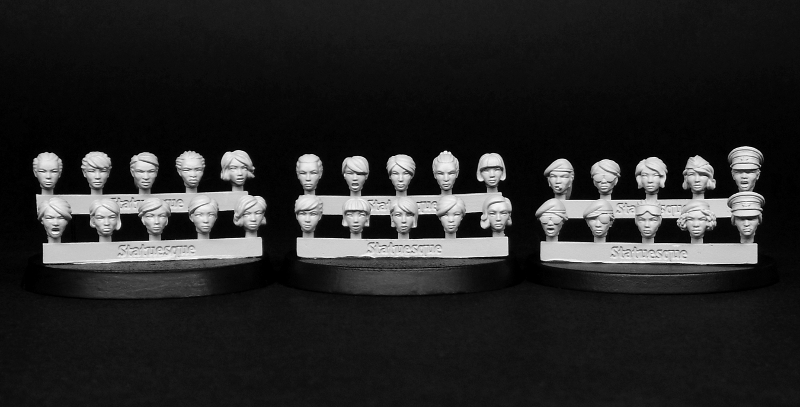 The Pulp Scale Female Heads -Veterans set is designed to match the size of the Statuesque Asylum and Pulp Alley ranges, and is also on sale at a New Release Special Offer price of only £4, saving over 10%. For a limited time only, you can get all three Fine Scale female heads sets in the Fine Scale Female Heads Combo for only £12, saving £1.50 on the combined RRP. Similarly, the Pulp Scale Female Heads Combo includes all three Pulp Scale sets for only £12, saving £1.50 on the combined RRP. These Fine Scale and Pulp Scale items join the existing Heroic Scale Female Heads - Veterans set. All three Statuesque Accessories ranges – Fine Scale, Pulp Scale and Heroic Scale – can be used to convert all manner of miniatures. Check out the comparison photos on this blog to see just some of the possibilities! These offers will run until Sunday the 2nd of October, or while stocks last. Welcome to the Khorosho Productions blog- the blog dedicated to the work of me, sculptor of miniature people, Andrew Rae. Please use the Labels below to have a look at the work I have done for both myself and various companies. Please note, I no longer accept commission work. Finely detailed figures by Andrew Rae. 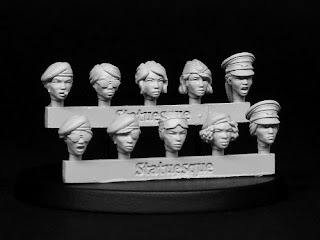 Visit www.statuesqueminiatures.co.uk to find out more.